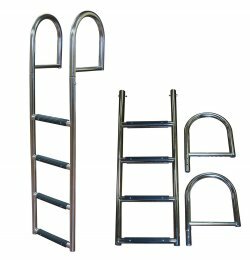 JIF Marine 4 Step Stainless Steel Stationary Dock Ladder, Standard 2" Steps, .316 Stainless Steel. FREE SHIPPING! 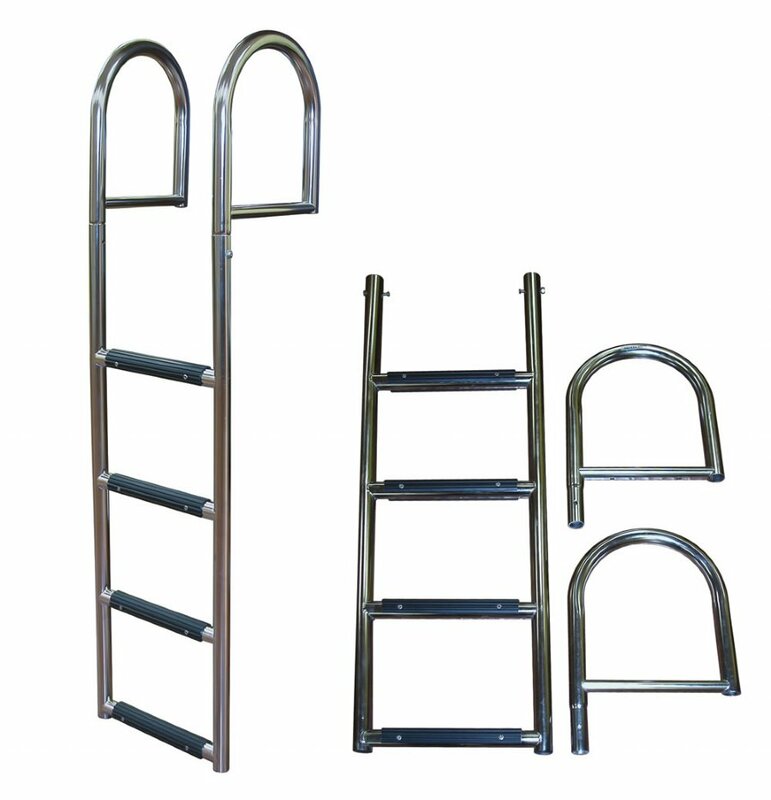 4 Step Stainless Steel Stationary Dock Ladder. Constructed from 1 1/2" diameter .316 Stainless Steel tubing. Wrap around PVC treads for sure footing. Ladder Length (from mounting point to end of ladder): 44"